Somerset County is the 3rd largest county in the State of Maine in geographic land area and contains the 9th largest in population. The Kennebec River, 1 of the largest Maine river tributaries flows from north to south through the county and is used for commercial as well as recreational purposes. 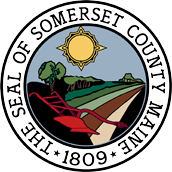 Somerset County also contains major ground transportation routes that support heavy commercial, tourist, and residential use. Somerset County is the gateway to the mountains, lakes, rivers and forests of western Maine. Maine's 4 seasons offer opportunities to experience skiing, fishing, white water rafting, hiking, snowmobiling and many other outdoor activities. The Kennebec and Moose River travel ways, embraced by lakes and forest, are rich in history, culture and natural beauty. These travel ways lead to spectacular waterfalls, scenic hikes along the Appalachian Trail and East Coast Greenway, tours of historic districts, forts and museums, 4 seasons of festivals and fairs and the adventure of whitewater rafting, snowmobiling and sport fishing. The region's history spans 12,000 years of Native American habitation, including the Abenaki mission site associated with Father Sebastian Rasle at what is now Old Point in Madison and the Pilgrim Fur Trading Post site on the east bank of the Kennebec River in Augusta where beaver and other pelt were exchanged for European trade goods. Benedict Arnold followed the Kennebec River north on his ill-fated attempt to capture Canada in 1775. Thousands and thousands of Irish and French Canadians used the Old Canada Road (now a scenic byway) section of Route 201 during the 19th century to find seasonal or project employment and later to make the Kennebec Valley region their home. And until the 1970s, as many as 4,000 cords of wood at a time would be floated in great drives down the Kennebec from the northern forests to the saw mills down river. Maine Route 201 is a route of vehicle and commercial transportation that stretches from the United States and Canadian border crossing site near Jackman on Route 201 to the I-95 Connector in Fairfield, the most southern community. This route carries heavy tourist traffic from the Quebec Province in Canada as well as heavy commercial transportation of manufactured products to New England and southern States. U.S. Route 2 traverses Somerset County, which serves as the major east-west Connector Route from the I-95 Connector in Newport / Palmyra through to the White Mountains in New Hampshire and points beyond to Vermont, Up-State New York, and the Province of Ontario, Canada. Commercial, tourist, residential and much Canadian traffic also travels this route from New Brunswick, Canada to western Canadian Provinces. There are 33 Communities, as well as 82 Unorganized Territories in Somerset County that offer the tranquility of a rural lifestyle coupled with many of the amenities of a more suburban setting in our 4 largest communities.